Dealing with a termite infestation is never fun. It can be especially frustrating when these tiny bugs infest a house that you want to sell. They may have invaded, but not all hope is lost. In our latest post, we will give you pointers on selling a house with termite damage in New Orleans. Let’s be real, having bugs in your house is gross. This can be very off-putting to potential buyers, so you should try to solve the problem at the first signs of infestation. This will save you money and frustration down the road. Figure out if you are dealing with a complete infestation or just a few bugs. Hopefully you have caught it in time, but no matter the amount, don’t hesitate in taking care of the problem. A termite infestation can grow swiftly, so take action at the first sign of them. Exterminations can cost thousands, depending on the size of the infestation. This is why it’s vital to catch them as quickly as possible. You don’t want to spend a fortune on an issue that could have only cost a couple hundred. Termites can cause considerable structural damage and even destroy your entire home if neglected. Inform all potential buyers about the infestation and what you have done to remedy it. They need to be aware of the situation and keep an eye out for any resulting damages. Not doing so is fraud and can cost you big-time. It may take longer to find a buyer by being upfront, but it is better than hiding the problem and setting yourself up for a lawsuit. Lenders may not want to finance a house with potential intruders. 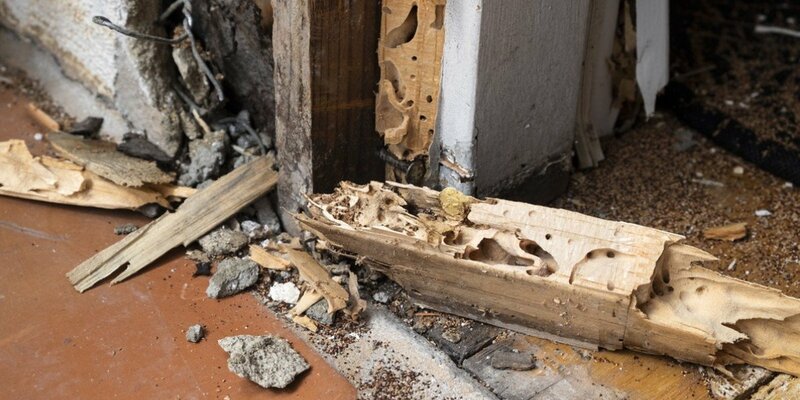 Termites and other pests can cause a wealth of problems, including structural and electrical damage. Once the bank learns about the infestation, it may be difficult for potential buyers to get a loan. With this in mind, provide any clean-up and repair verification that the bank requires. People typically dislike bugs, especially when they are in their house. Do everything you can to ensure potential buyers that the problem has been properly resolved. To prove that there are no longer any bugs, consider having a preemptive inspection done. Emphasize the cleanliness and quality of the home during open houses and showings. Make sure the place is spotless, smells amazing, and is decorated impeccably. Potential buyers may not even remember you had a problem with termites in the first place. To avoid the costs of fumigation, listing, and waiting for the right buyer, you can sell your New Orleans house as-is. At Louisiana Direct Home Buyers, we buy all sorts of distressed houses. We will buy your house as it is right now, handling any of the problems that come along with it. A direct sale can help alleviate the costs and hassles of a burdensome home.